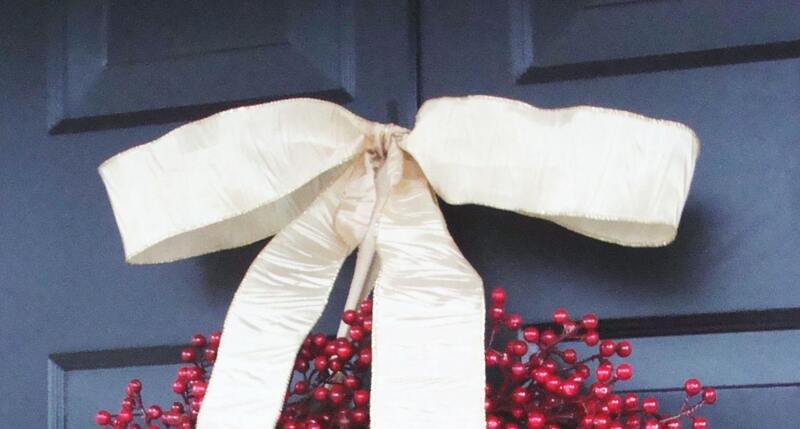 *** Merry Christmas, Champagne ribbons are also shown in the last three pictures as examples of ribbon options for this hydrangea wreath. Many others available in the drop down menu. 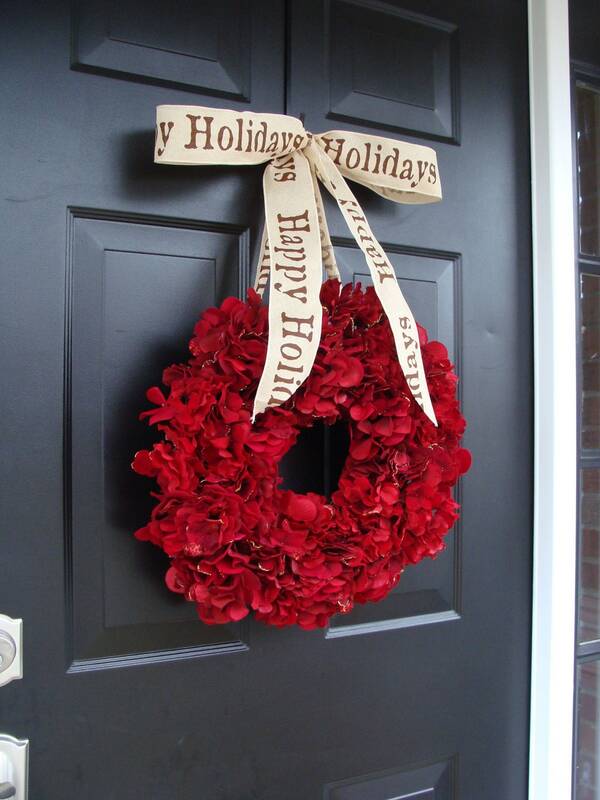 Dazzle your neighbors and guest with this stunning red hydrangea silk Christmas wreath! 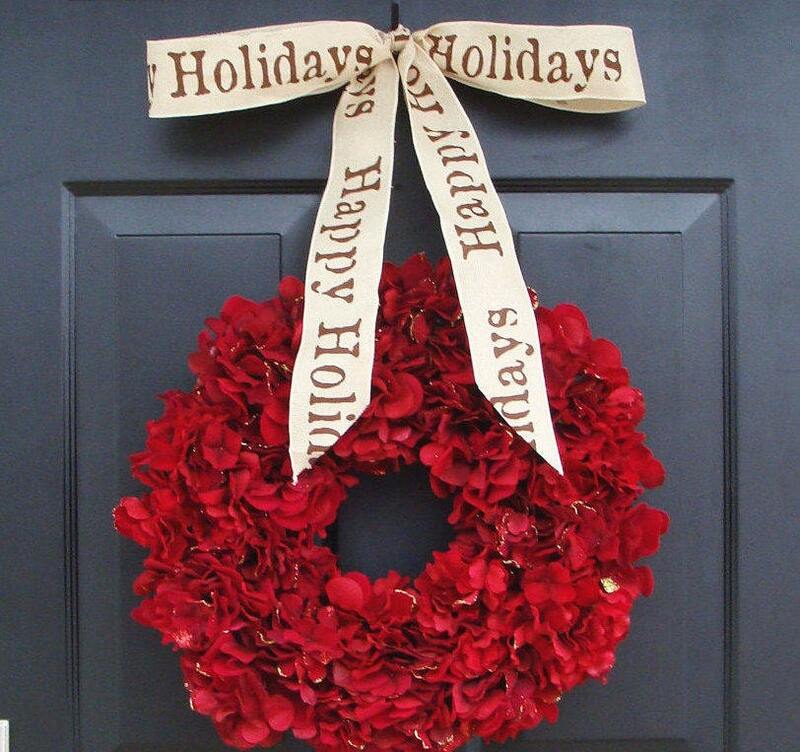 This beautiful wreath is overflowing with red hydrangeas and hung with your choice of 2 1/2 inch wired holiday ribbon. The new red hydrangeas that I use have no gold glitter in them like the pictures shown. Choose your ribbon before adding your purchase to your cart. Wreath measures 18 inches wide and 25 inches tall. 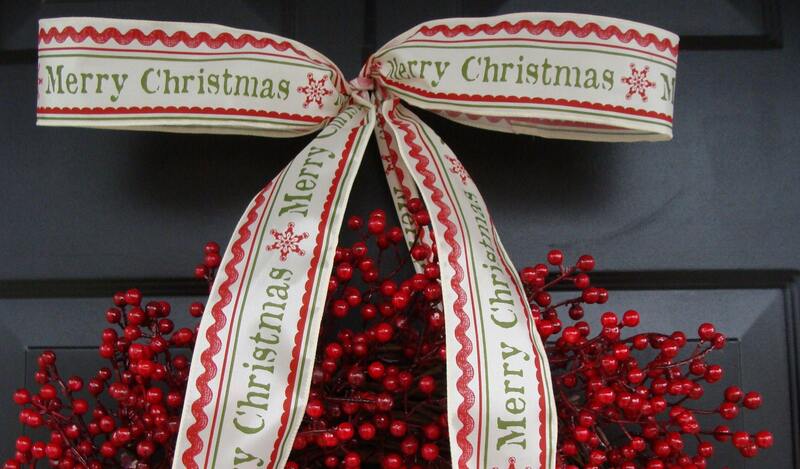 A large wreath that is perfect for front door! Check out my shop (http://www.elegantwreath.etsy.com) for many other beautiful, quality, handmade wreaths! Any wreath will make a great gift for a loved one or friend so you can always get two and save on shipping or have your gift shipped directly. Custom wreaths are always available so just convo me for options. Wreaths are always shipped via insured UPS service. I love my customers and always strive to provide a quality wreath for a great price! This is the second purchase of this product- it's beautiful and unique!